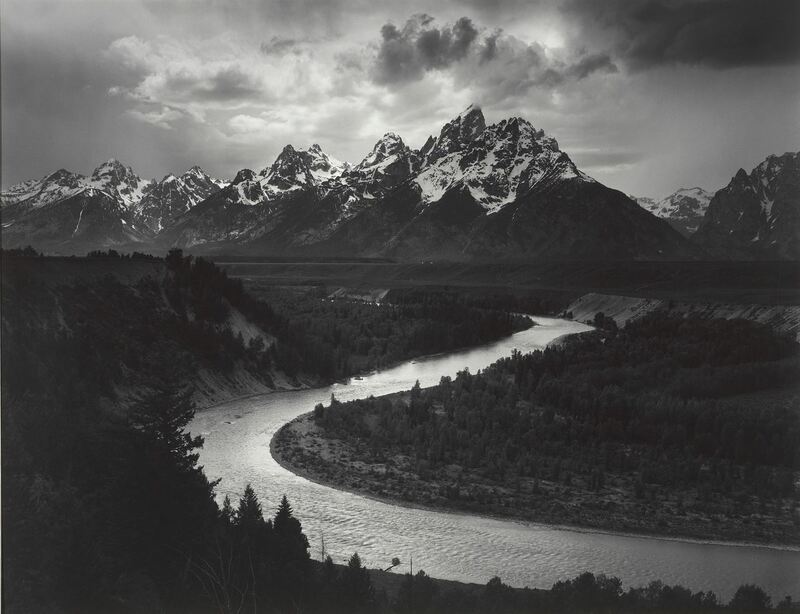 “The Tetons and Snake River, Grand Teton National Park, Wyoming,” by Ansel Adams, 1942. Late in the 19th century virtually every home had a viewer for 3D stereographs of a West that looked like a fable. Manifestly — in mind-set as well as mission — the West was our destiny. 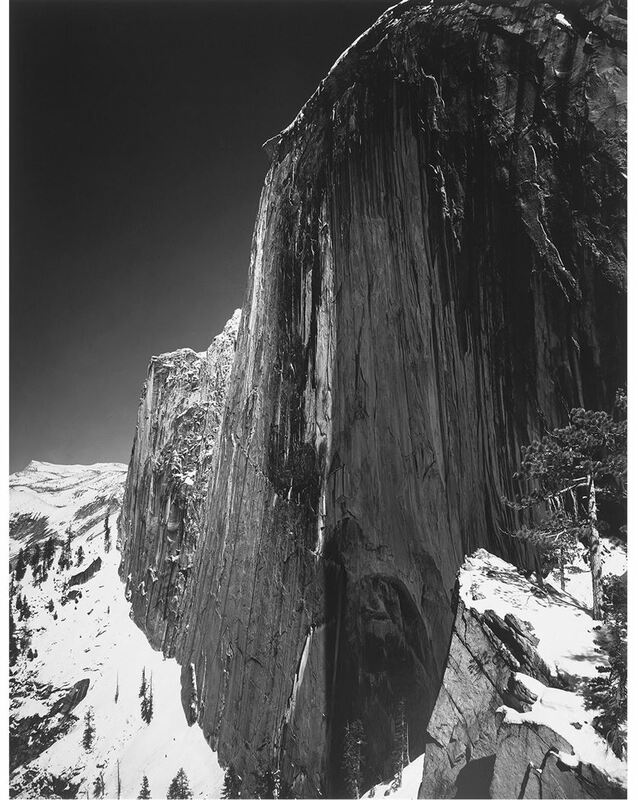 “Monolith — The Face of Half Dome, Yosemite National Park,” Ansel Adams, 1927. See more of Adam’s influence and the modern photographers who breath new life into his legacy, here. Through Feb. 24 at the Museum of Fine Arts, Boston; 617-267-9300, mfa.org. “Through March 3, the Addison Gallery of American Art at Phillips Academy in Andover, Mass., has on view “Contemplating the View: American Landscape Photographs,” an exceptional photography exhibition with examples of Adams’s work.